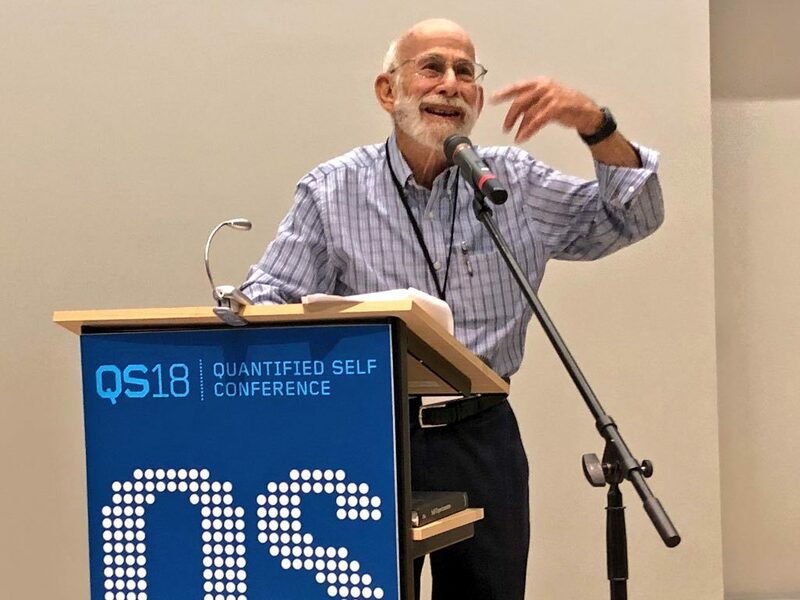 With apologies for the slow pace of getting these videos posted to the web site, today I bring you a video of a mind-blowing presentation by Ben Lipkowitz of his life-logging project at the last QS Show&Tell. As usual, this is a raw documentary record, made on the fly, so don’t be surprised by the low quality of the recording or by Ben’s face bobbing in and out of the scene. But as you watch, you can hear the “oohs” and “aahs” of the QS folks as they take in the magnitude of Ben’s project, and in the humorous, somewhat nervous give-and-take you can sense the intense curiosity sparked by this glimpse of his life-logging practice. Ben started self-tracking when he wondered how much time he actually spent doing his roommate’s dishes. He estimated that he spent an hour a day. (The true amount, he learned, was about 20 minutes.) This led him to track more things. This led him to track everything. Ben considers this project a scientific investigation, but is a type of science inspired by Buckminster Fuller, aka “Guinea Pig B,” rather than by a more conventional academic tradition. It is easy to imagine somebody watching this video and saying: “well, that’s a full scale geek-out that has nothing to do with me.” But I think this would be an error. Ben uses data to find out details about himself, such as how he sleeps. He also uses data to figure out problems in his social life, such as whether the distribution of housework is reasonable. While its true that Ben’s method of data gathering is unusable by most people, the type of questions he’s asking and the conviction that these questions are answerable are a preview of the coming age of self-quantification.